The Wharton Certificate of Professional Development (CPD) is specifically designed for executives with the drive and desire to advance their level of learning. Through one of three education tracks — Finance, Leadership, or Strategy — or by your own design, a Wharton CPD is a professional achievement that can change your career. A CPD is earned through completion of four programs within a six-year period. During that time, you will be exposed to new ideas, challenged to think differently, and connected with people from all over the world in programs led by Wharton’s world-renowned faculty. Enjoy the flexibility of learning within your own timeframe, without being locked in to semester deadlines. Stay on top of organizational changes while advancing your professional skills. More details below. 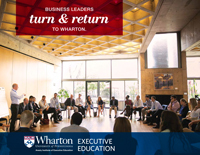 A lifetime 20 percent discount on all qualifying Wharton Executive Education programs. 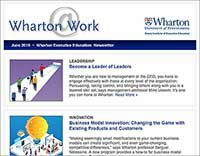 An automatic membership in Wharton’s exclusive CPD Circle, with your name, company, and photograph published on Wharton’s website. A complimentary subscription to Wharton Magazine, a bi-annual publication that serves as the primary source of news and emerging trends from the Wharton School, the world’s leader in global business-knowledge creation and dissemination. And, a one-time 10 percent program discount to a colleague you refer to a Wharton Executive Education open-enrollment program. 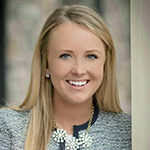 Build strategic skill sets that tackle immediate and long-term challenges, such as mergers, negotiations, building new business, and profiting in competitive markets. Your interaction with Wharton’s leading faculty will give you the timely tools and best practices you need to build your team’s strategy and performance. Your interaction with peers from a variety of industries and countries will provide you with the global insight you need to develop innovative solutions for your company. Short, focused programs will allow you to efficiently develop your knowledge, with little interruption to your organization. Choose a combination of any four programs in our open-enrollment portfolio, from the specialized tracks as well as from our Marketing programs portfolio. 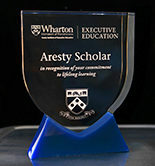 If you have already completed one Wharton Executive Education program, you may be eligible to become an Aresty Scholar. This status is reserved for executives who have completed two programs on their way to earning a CPD. To be eligible, you must have completed one four-day (or longer) Wharton Executive Education custom or open-enrollment program within the past two years. When you return to Wharton and complete another four-day program, you will become an Aresty Scholar. The designation of Aresty Scholar by the Wharton School recognizes your commitment to professional development. You will be presented with a special memento upon the completion of your second program, in honor of civic leader, business owner, philanthropist, and Wharton alumnus Julian Aresty and his brother Joseph Aresty, who together endowed the Aresty Institute for Executive Education at Wharton. Please contact a Wharton program consultant for more details on becoming an Aresty Scholar. Wondering if the Wharton Certificate of Professional Development is right for you? Hear more about the CPD from executives who have chosen this certificate to advance their professional development.